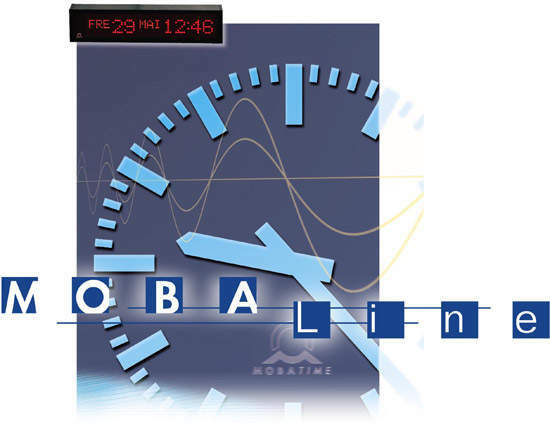 MOBATIME is the leading brand for innovative time display, time distribution and time reference systems. Equipment and components are developed, manufactured and promoted by Moser-Baer, Switzerland. MOBATIME offers practical experience and extensive technology know-how in time systems for a wide range of application fields. This includes outdoor and indoor clocks, clock movements, master clocks and time servers. 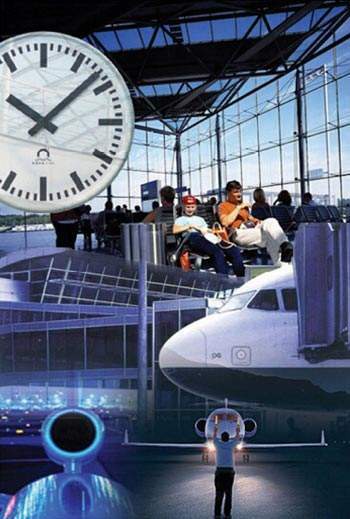 Centralized systems for airport applications usually have a network consisting of a GPS-synchronized main master clock, located in the main control room and a number of sub-master clocks at various terminals. These master clocks then synchronize slave clocks and other IT systems in their environment, whereas the main master clock is connected with all sub-master clocks by means of the LAN/WAN and appropriate protocols (e.g. NTP). MOBATIME can offer a variety of products and components for such applications and provides full customer support with regards to the general system approach, depending on BoQ and customer specific requirements. Relays- switching of remotely located loads such as light, heat, bells etc. Advantages include data transmission with self-correcting code, two-wire low-voltage cable for data and power and maintenance-free, centralized time-distribution. It allows new slave clocks to be installed under MOBALine power. 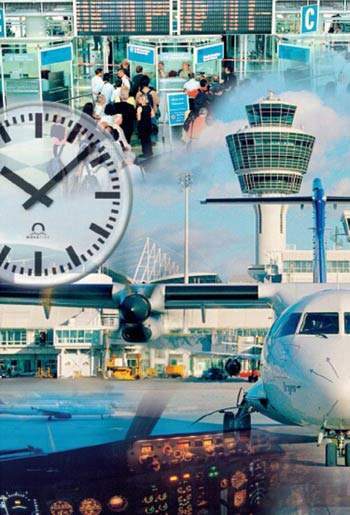 For airports, MOBATIME has developed specific indoor and outdoor clocks, exactly following the relevant customer specification regarding design, modular concept approach, reliability, maintainability, integration into electrical and / or IT infrastructure. 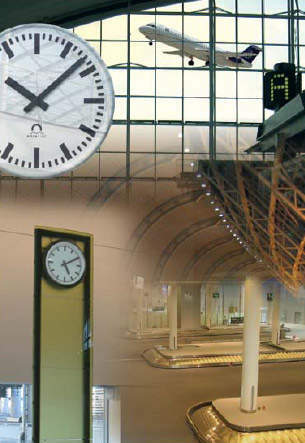 Many airports use MOBATIME clocks, clock movements and master clocks. 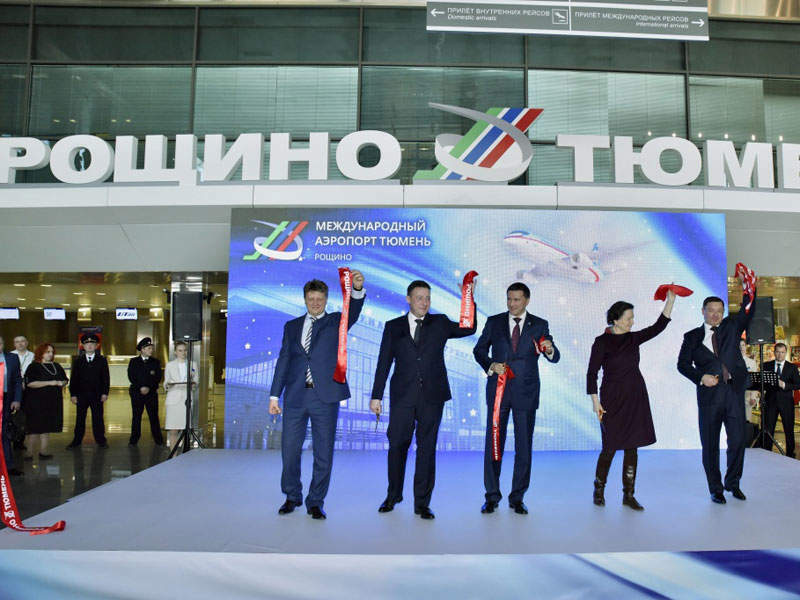 Air traffic control is a crucial safety demand for people and monitoring instruments. With its master clocks and time servers, MOBATIME delivers dependable time references for air traffic control monitoring systems. In our January 2012 newsletter we highlighted the state-of-the-art in time distribution technology. Changi Airport is one of the busiest international airports today and prides itself in providing excellent service. MOBATIME time systems and clocks help in maintaining this high standard. Technology of time distribution systems has evolved over time. In the last century synchronisation of slave clocks was based on minute or second impulses in a two-wire cabling installation.